When it comes to shopping a mattress, deciding what brand to go for is an important task. There are always plenty of brands of mattresses out there, which may make you feel overwhelming to make a decision. 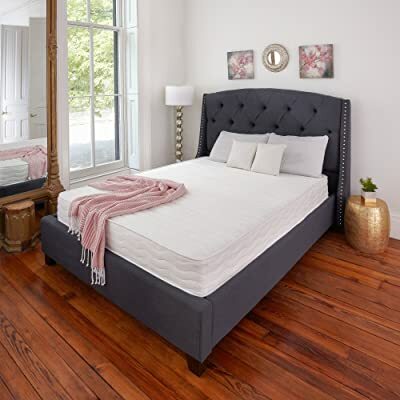 If you are looking for a best mattress, but haven’t decided which brand to go yet, we are going to introduce you Classic Brands, a mattress manufacturer that has been on the market for a long time. For the reasons you should take this brand into your consideration, we emphasis on three things as following: having a variety of mattress types that range from memory foam mattresses to innerspring mattresses, coming at affordable price points that most of them are under $500, and being worth the money. 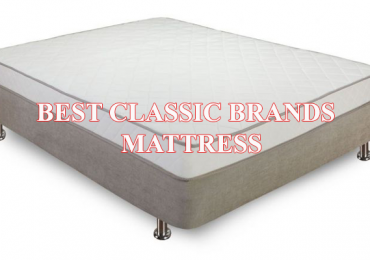 If you feel lazy to do your own research on the products of Classic Brands and just want to have a quick look at the details of each mattress in one article, we also have a brief description of the 10 best classic brands mattress. The headquarters of Classic Brands is located in Baltimore, Maryland. Along with that, they have another warehouse in Los Angeles, California. To talk about the business of this brand, Classic Brands manufacturer has been on the market for a long time. However, as the brand that sells high quality memory foam mattresses and latex mattresses, they just actually started in 2002. Also, apart from manufacturing and selling mattresses, they also offer many other sleeping products and accessories such as pillows, bed frames, protectors, and sheets. Classic Brands uses Open cell memory foam in many models of mattress. That’s because this type of memory foam has many great benefits. It is more porous than conventional foam. Also, the open-celled structure helps the air to get through easily, resulting in being more breathable. Other benefit of this memory foam is it has naturally antimicrobial and resistant components to allergens, mold, bacteria and dust mites. Using gel-infused memory foam is popular in manufacturing mattresses, Classic Brands is not an exception. In the manufacturing process, the gel particles are infused into visco-elastic memory foam. Consequentially, Air is able to travel throughout the foam, and then the heat is dissipated away. Latex is super good to use for making the construction of mattresses. It is more elastic, bouncier and highly responsive. It is also good at remaining of its firmness, regardless the temperature. In additional, Latex is hygienic, resistant to dust mites, is naturally hypo-allergenic and anti-bacterial and anti-microbial. There are several models that Classic Brands uses Latex (Talalay latex and other type of latex), but the constructions don’t come with 100% latex. Instead, latex is combined with foam. This helps reduce the prices of the mattresses, but not sacrifice the benefits of latex comfort and support in the mattresses. Classic Brands have many models designed with coils. To ensure the quality and improve the durability of the innerspring mattresses, the steel coils are tempered, which makes it sturdier and stronger. This results in a good shape of the mattresses and being stronger to support heavy weights. In additional, the individually coils are also wrapped in a fabric. As a result, it helps minimize friction and lessens motion transfer. Each sleeper has their own sleeping position, preference for mattress type, and sleeping habits. These facts lead to the different needs in a mattress. Before choosing a right mattress, they need to know about the details of the mattress, so that they don’t have to end up with improper support. With the collection of the 10 best classic brands mattresses, each mattress is detailed carefully. We just try to make sure that customers get as many details as possible. All things done are aimed to help customers easier to choose their right one. 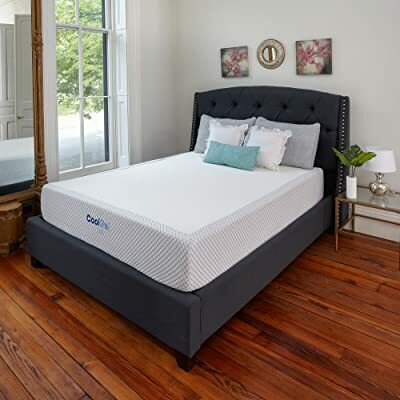 If you are looking a best cooling memory foam mattress, this Classic Brands Cool Gel Memory Foam 12-Inch Mattress would be a great choice for you. It has two gel-infused layers contained in the construction. Along with that, it has the breathable fabric used for the cover. 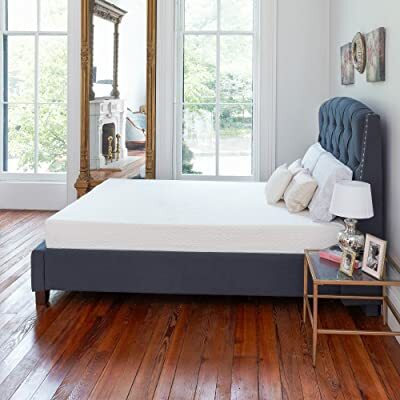 The construction of this mattress consists of 2.5 inches of cool gel memory foam for temperature regulation and 3 inches of poly gel foam for greater breathability, and 6.5 inches of high-density foam for a strong base. All layers form 12 inches in total thickness. For the cover, the cover is a four-way stretch knit fabric constructed from a blend of Rayon (36%), Spandex (10%), and Polyester (54%). Due to this unique blend, the fabric can improve airflow in and out of the mattress. Along with that, it creates a softer and more elastic feel. Aesthetically speaking, the cover just looks simple in its white top and charcoal gray knit sides. Firstly, in terms of firmness, The Classic Brands Cool Gel mattress offers a medium-firm to slightly-firm feel, which comes about 6.5-7.5 out of 10 on the firmness scale, where 10 is rated as the firmest. Secondly, to talk about contour and sinkage, it has the pronounced contour and sinkage as the popular features of a memory foam mattress. But, how deep the sinkage it creates will depend on certain body weight. If a sleeper who weighs 150 – 200 lbs, its sinkage level will be moderate and supportive. Thirdly, this mattress can perform well in keeping sleeper’s spine in proper alignment due to its good firmness. Generally, this mattress can please the majority of sleepers. Ideally, there are two top layers coming with gel infusion, whereas most mattresses just come in one gel-infused layer. This makes it different from others, it is more effectively in keeping heat retention away. Lastly, the cover also adds a bit breathability to the mattress. When you purchase this mattress, you’ll get 25 years for a limited warranty. Who should consider this Classic Brands Cool Gel Memory Foam 12-Inch Mattress, Twin? This 14-inch hybrid mattress is uniquely designed for those who prefer more plush feel but don’t want to be stuck in the mattress. Especially, the combination of memory foam layers and wrapped coils will provide you unique feels. The construction of this Innerspring model is designed to be very thick with 14 inches in thickness. The top layer is 1-inch layer of gel infused memory foam. The next is 0.25 inch over 0.5-inch comfort foam. Then is 1 inch of Gel Memory Foam. The next layer is 2-inch comfort foam and .75 inch of comfort foam works with the 8-inch support layer of individually wrapped coils. For the cover, it is quilted knit cover with a corded edge and coordinating knit sides. It provides an extra cushion to the mattress, whereas, the design provides the luxury look for the mattress. To talk about the firmness, this 14-inch mattress is designed to provide medium firmness. That makes it more suitable for back sleepers. In addition, the thick layers of memory foam and comfort foam does a good a job in providing comfort for sleepers. It can contour to the body curve perfectly and let you feel more hug while laying down on it. Also, you aren’t going to be stuck in there, but can experience deep sinkage. What’s more? The coils also provide the bouncy feel that improves the sleeping experience. Especially, it can keep the motion transfer at minimal level. In general, the mattress does a good job in minimizing the heat retention. The construction also allows air to flow through the mattress easily. And the gel-infused memory foam helps disperse heat as well. To conclude, sleepers can stay cool all night long on this mattress. The shape of the mattress may be a bit bulky due to its 14-inch thickness. It is also heavier to relocate in your house. 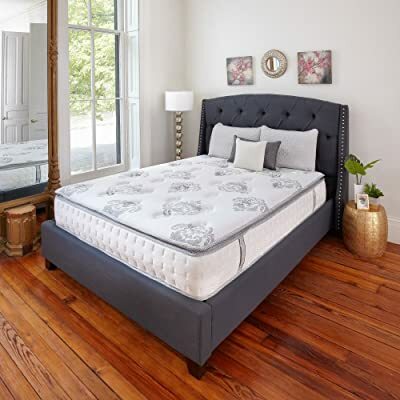 Who should consider this Classic Brands Gramercy Euro-Top Cool Gel Memory Foam and Innerspring Hybrid 14-Inch Mattress? 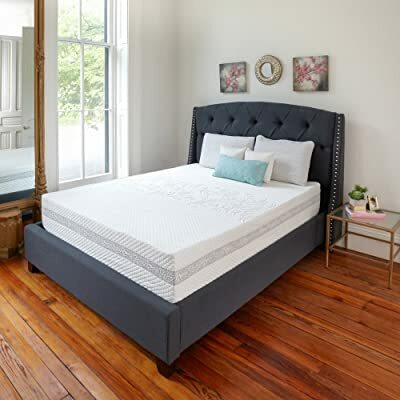 The construction of this 10-inch mattress consists of the 7-inches of 13 Gage individually wrapped coils, and are topped by 3 layers including 1 inch of pillow top, 1 inch of quilt fiber on the bottom and 1 inch of quilt fiber on the top. Especially, the innerspring individual coils wrapped in a fabric designed to minimize friction and maximize support. The mattress is fairly good at providing bouncy feel, due to the coil system. When you are putting your body weight on it, it will immediately conform to your every curve of the body. Though it doesn’t come with thick layer of foam like others, the thin layers of quilt fiber does a good job in providing comfort and cushion. In addition, you will feel that this mattress is slightly firm, which comes between 6.5 – 7.5 out of 10 on the firmness scale. This firmness will be excellent at providing support for back pain sleepers and maintaining your spine in proper alignment. Due to the unique construction, it can allow the air to flow easily through the mattress, and then improves the breathability. 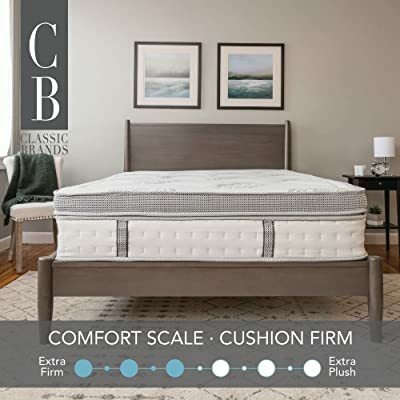 When searching on the official site of Classic Brand, the mattress claims that it is naturally antimicrobial and resistant to allergens, mold and dust mites. Who should consider this Classic Brands Pillow-Top Innerspring 10-Inch Mattress? 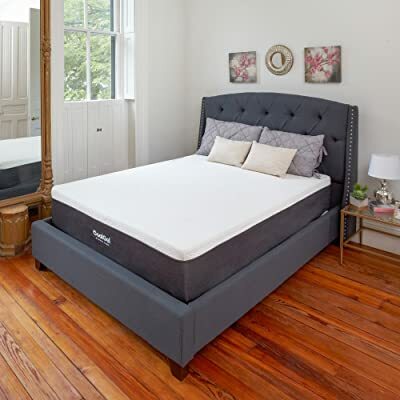 Along with the 8 inches of layer of individually wrapped coils, the above layers includes a 0.5- inch top layer of gel infused memory foam, 0.25-inch comfort foam, a third layer of 0.25-inch comfort foam, a fourth later of 0.5-inch comfort foam and a layer of 0.75 inch of comfort foam. All layers combined form 12 inches in total thickness. For the cover, it is a quilted pillow-top knit cover with a corded edge and coordinating knit sides. Aesthetically speaking, it looks luxury and pretty. The mattress can provide a pronounced sinkage, and the deep level will depend on your body weight. However, it won’t let you be stuck in there. It’s because the mattress has over medium firm level that comes at about 6 out of 10 on the firmness scale (if 10 is the firmest). The contour it provides is just nice and perfect. Your body will be gently wrapped and contoured. In addition, the springs will also provide a lot of support, but the top layers of foam will soften it to the balanced level of comfort and support. The mattress is super breathable due to the construction and materials used. It has the gel infusion, the popular solution for minimizing heat retention and the coil system works perfectly for improving breathability. The mattress will included the 10 year warranty when you purchasing it. Who should consider this Innerspring Hybrid 12-Inch Mattress? If you are a side sleeper, the mattress that has medium firm level and more plush feel will be supportive to your sleeping position. And, this Memory Foam 8-Inch Mattress is designed to fit the needs of side sleepers. This memory foam 8-inch model is constructed from a combination of two layers, including 2 inches of gel-infused memory foam for temperature regulation, and 6 inches of high-density base foam for support. For the cover, it is just simple in its total white tone. However, it is a breathable fabric. Hence, it can reduce the heat retention. As a memory foam mattress, this Memory Foam 8-Inch Mattress will let you be sunk fairly far down into the mattress. Along with that, it also has great contour. To describe the firmness of this mattress, it is medium- firm feel that tends to most suitable to side sleepers than others. The mattress does have gel infusion as the solution for heat retention. Along with that, it is also designed with ventilated holes. Both of these can improve the breathability for the mattress. So, you can feel cooler when sleeping on this mattress. It is naturally antimicrobial and resistant to allergens, mold, bacteria and dust mites. That means it is more ideal to use for those who have sensitive skin. However, it does come with off gasing, causing strong odors. Who should consider this Memory Foam 8-Inch Mattress from Classic Brands? If you are side sleepers, this is the next recommendation worth your considering. Along with medium firm feel, it is also designed to be cool due to gel infusion. To form 10.5 inches in total thickness, the construction is built from 4 different layers. The first layer is 1.5 inches of latex foam. The second is 1.5 inches of gel memory foam. The third is 1.5 inches of comfort foam. And, the bottom is 6 inches of high density poly foam for strong base. 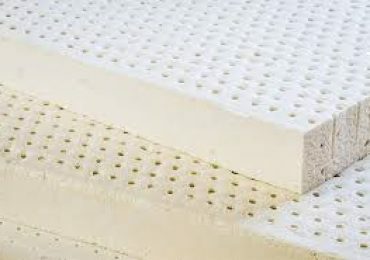 The combination of latex and foams makes the mattress more unique in providing comfort and support. For the cover, it is made of knit fiber fabric. It is thick and soft, which just adds the comfort when contacting to skin. In addition, it looks pretty in its design. The mattress comes in medium-plush feel. Due to this it has great softness, which can let you wrapped in there. However, the latex foam also helps firm it up a bit. That means you won’t feel it is too soft, or stuck in quicksand. When putting your body on the mattress, it will be contouring to your body shape nicely, and let you feel supportive. The gel infusion does a good job in minimizing the heat retention and keeping the mattress cool all night long. Hence, you can get your restful sleep every night on this mattress. There is chemical smell like burnt tires after you unbox this mattress, and it will last for several days. But, it also disappears after that. Who should consider this Latex and Gel Memory Foam 10.5-Inch Mattress? The firmer feel will be more supportive to those who sleep on their stomach. And also, it is better at keeping your spine in proper alignment. More ideally, the firmness isn’t a too-stiff level that may aggravate the pain in people’s back. It is constructed from 8 inches of 768 Count 13 gauge individually wrapped tempered steel coils for ultimate support. To enhance the comfort, the top layer of comfort foam for added pressure relief. For the cover, it is beautifully detailed quilted knit cover for durability and tightly knit edges. The nice thing is the fabric does have stretchy feature. 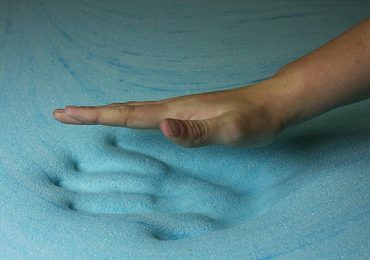 Due to the unique construction, the mattress does provide the bouncy when pressures are placed on. In addition, this may fit the needs of the stomach sleepers who feel supportive when sleeping on firm mattresses. That’s because this Classic Brands Advantage Innerspring 8-Inch Mattress is designed to provide firm level. In general, the mattress doesn’t absorb and retain heat, which causes warm feel. So, you can feel worry-free when deciding to buy it. It is naturally antimicrobial and resistant to allergens, mold and dust mites. This makes it more ideal to use for sensitive skin. Who should consider this Classic Brands Advantage Innerspring 8-Inch Mattress? For those who are a fan of Innerspring mattress, the Engage Gel Memory Foam and Innerspring Hybrid 11-Inch Mattress would be great to consider. It has many great features that can fit the needs of stomach sleepers and those who are more into firm feel. The construction of this Innerspring Hybrid 11-inch mattress consists of 1 inch gel ventilated memory foam for maximum breathability, 2 inch plush poly foam adds comfort and support, 6 inch individually wrapped coil innerspring prevents motion transfer for an undisturbed night’s sleep, and 1.5 inch firm poly foam base for extra support. For the cover, it is a quilted pillow top knit cover with a corded edge and coordinating knit. It is thick to add an extra cushion and comfort, and soft to feel good when contacting to skin. Aesthetically speaking, it just looks pretty beautiful and luxury. The top layers do a good job in providing contour. When your body is placed on the mattress, it will be conforming to your body shape and then let you feel more hug. You also sink into in, but not go far down into it. That’s because the mattress is designed to be firm. In addition, your body weight will be distributed evenly across the mattress. Along with that, the mattress just makes your spine in proper alignment. Lastly, this is also a great choice for those who share a bed together because it has less motion transfer. The ventilated memory foam can helps the air to flow easily through the mattress. Moreover, the coil system does a good job in keeping the mattress highly breathable. More ideally, the mattress comes with naturally antimicrobial and resistant features to allergens, mold and dust mites. Who should consider this Innerspring Hybrid 11-Inch Mattress? The mattresses made of 100% latex are usually great to use but too expensive in prices, whereas, the combination of latex and foam are nearly similar to them, but more affordable to get. If you are also a person who loves to sleep on this type of mattresses, the Kiera Talalay Latex Memory Foam 11-Inch Mattress is a great to take into consideration. Let’s see more! The construction of this Talalay latex memory foam 11-inch mattress just comes in two layers. The top layer is 3 inches of 100 percent natural Talalay latex, and the bottom layer is 8 inches of supportive high density foam base. All layers are combined to total 11 inches in thickness. For the cover, it is a knit cover with suede sides. The fabric is highly breathable and soft. As aesthetic perspective, it looks good in its total white tone. The components contained in Talalay latex allow itself to be not too firm or too soft. That’s why Talalay Latex mattresses are good at providing naturally therapeutic features and extraordinary orthopedic support. With this model, it is designed to give sleepers more plush feel. The sinkage and contour it creates are pronounced. However, you won’t be stuck in there unless you are a too big guy. What’s more? It is also bouncy and responsive, which provides additional comfort while sleeping. Latex is less likely to absorb and retain heat than memory foam. Moreover, this latex comes with open cell structure. That means it can help improve the breathability better. Consequentially, the heat retention is kept at the least level. The descriptions for where the mattress is made in aren’t the same. Some claim it is made in USA, meanwhile, it is made in China. This leads to some confusion among customers. Who should consider this Kiera Talalay Latex Memory Foam 11-Inch Mattress? This Classic Brands Innerspring 7-Inch Mattress is your next recommendation contained in this list. It is an innerspring mattress, and 7 inches in thickness. What’s more? The 7-inch Innerspring Coil Mattress contains 312 sturdy tempered steel coils. One layer of soft foam is sewn into the quilted fabric cover. There are two polyester cushioning layers and two foam layers on top and beneath the coils, which provide the cushion and comfort. Also, it prevents you from feeling the coils underneath. For the cover, it is a quilted knit cover that can provide softness and cushion addition to the mattress. However, as aesthetic perspective, it doesn’t bring the luxury look. the nice thing is it is fairly breathable. In general, the mattress can provide great comfort right after your body first touches it. The contour it creates is just nice. Along with that, Bonnell coils reduce the sensation of movement between partners. The medium firm feel of this mattress works excellently in relieving pressure points across your body and doesn’t make you aggravate the pain in the back of back pain sufferers. The foam layers aren’t thick to cause much heat retention. Instead, the coil system can improve breathability. Consequentially, it can provide cooling feel for you during your sleep. Noise is usually the most concerned when people choose an innerspring mattress. However, this mattress isn’t that case. It is just quiet. Who should consider this Classic Brands Innerspring 7-Inch Mattress?